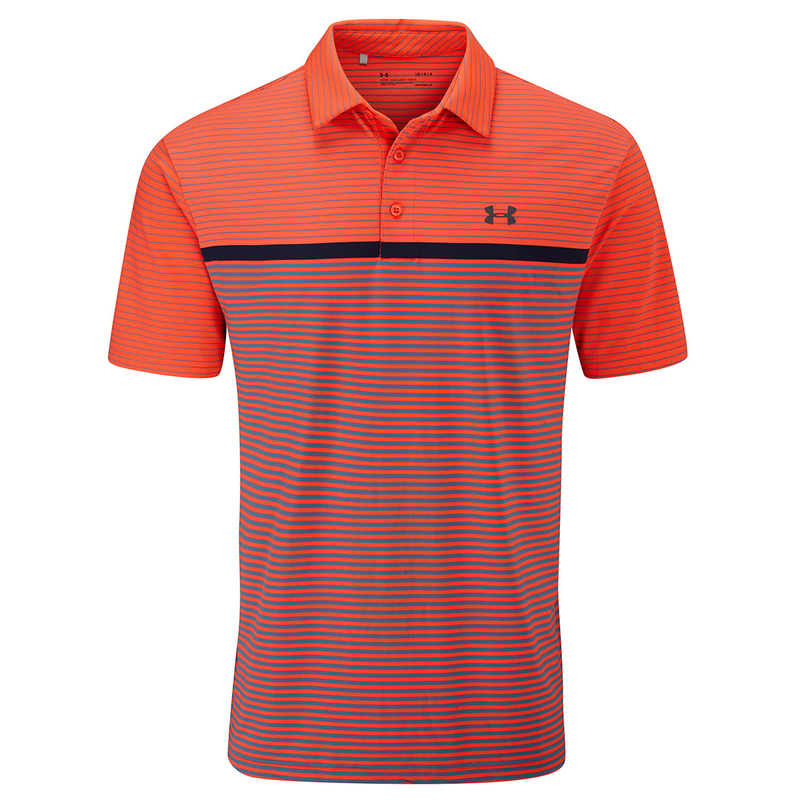 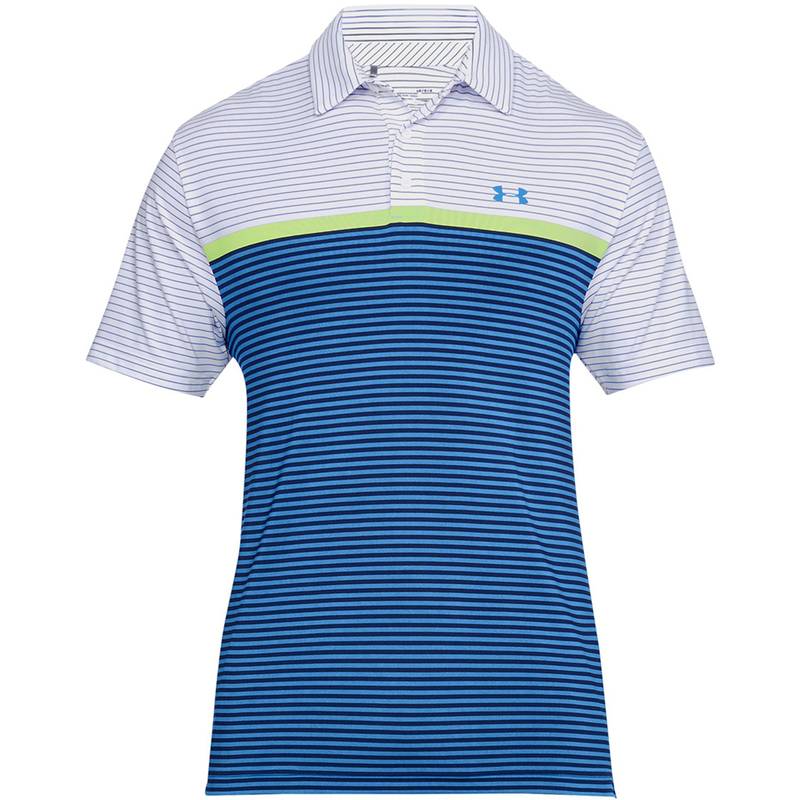 The Under Armour Playoff polo shirt offers exceptional style, combined with top quality materials aimed to help you perform. 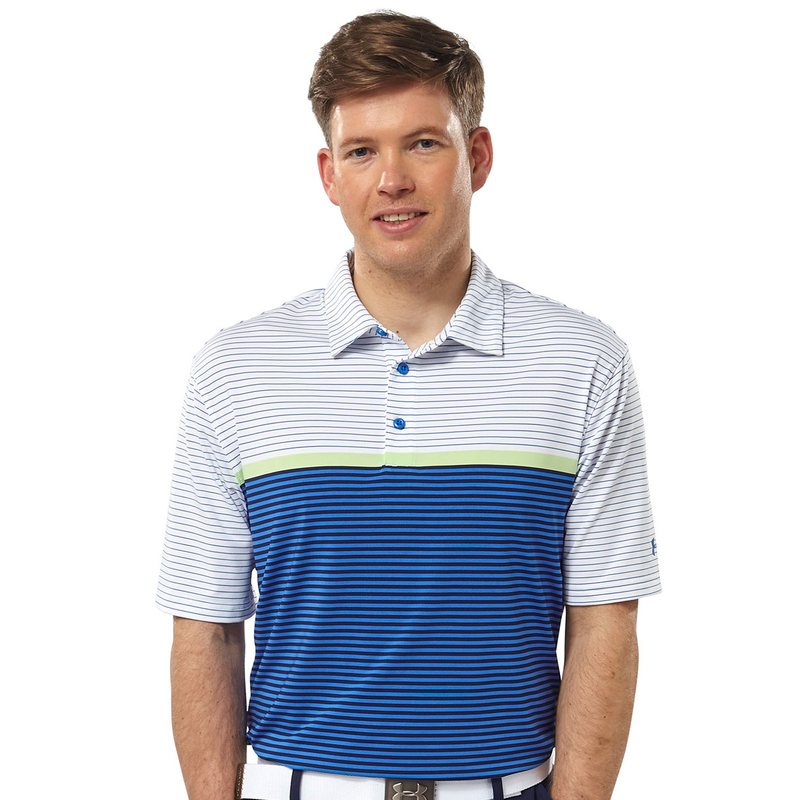 The moisture management system wicks sweat away from the body leaving you dry and comfortable. 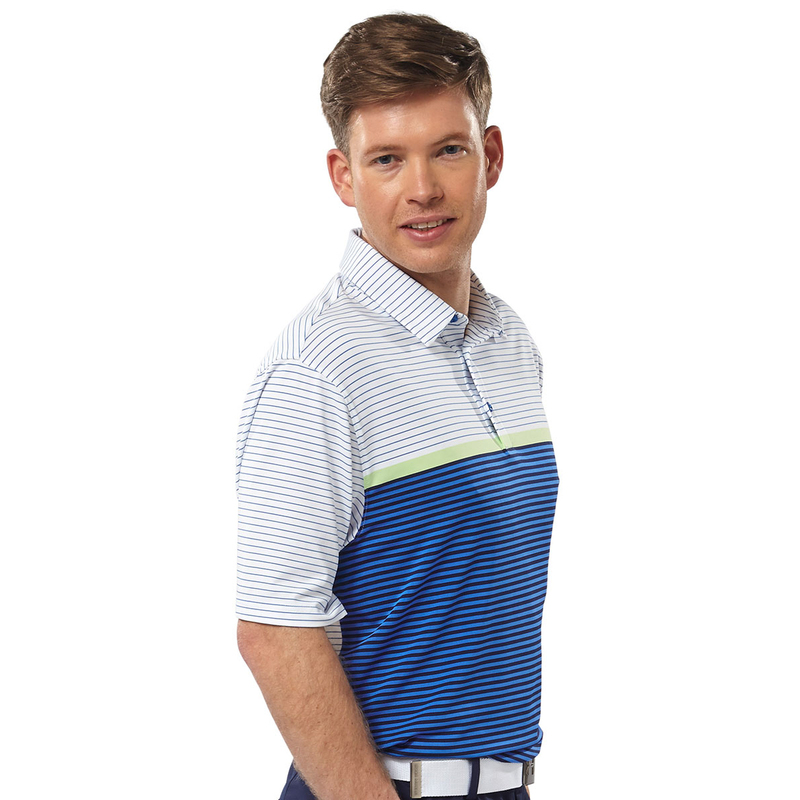 The 4-way stretch fabrication allows greater mobility and maintains shape, while the anti-odour technology prevents the growth of odour causing microbes. 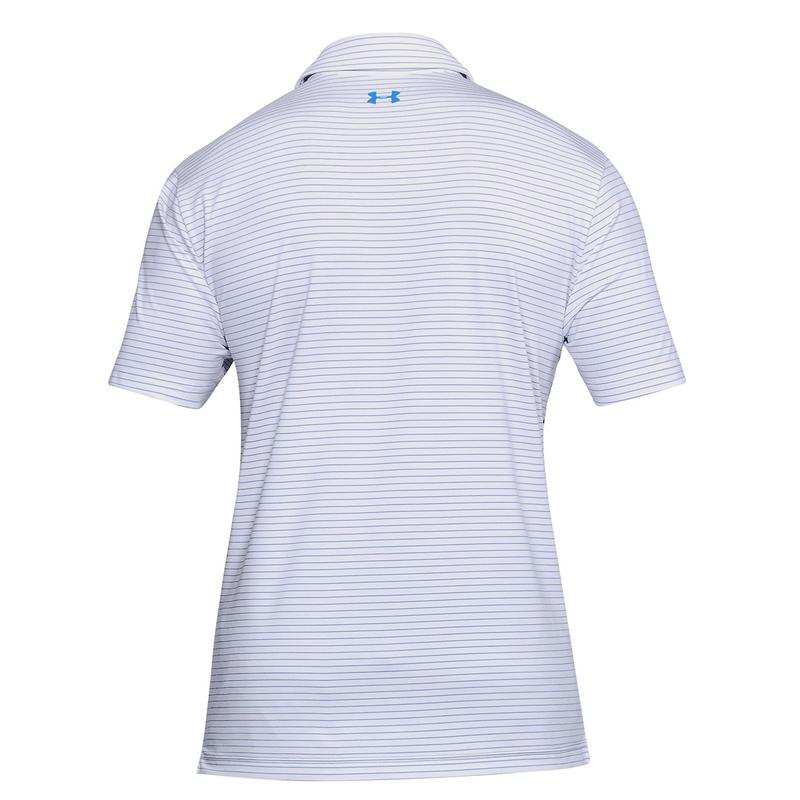 The shirt has been made with a soft anti-pick, anti-pill fabric, which provides a clean, snag free finish providing unmatched quality for long lasting durability. 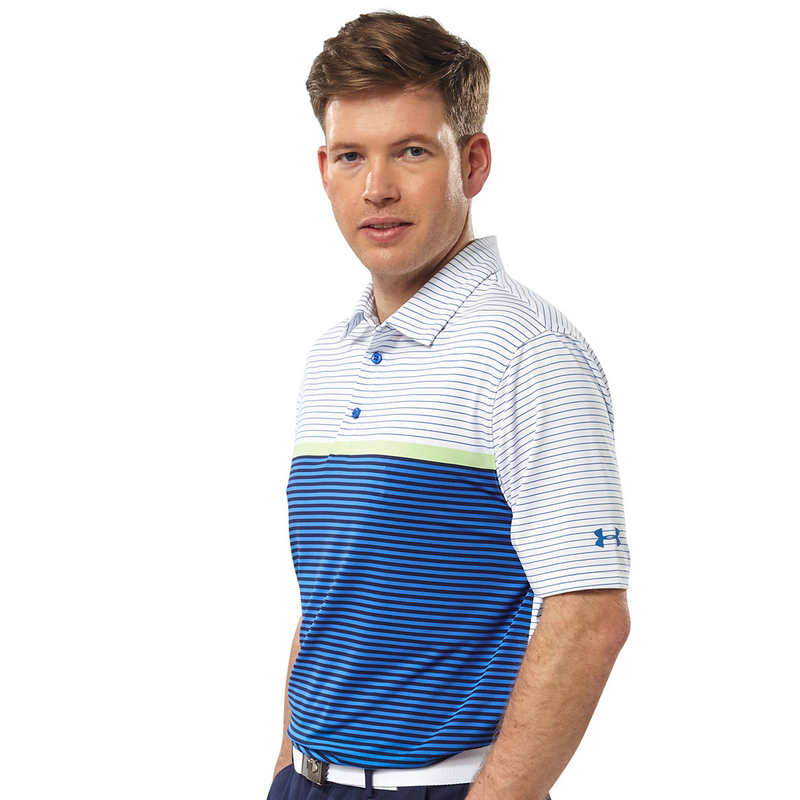 The design features a self fabric collar and button placket, and offers a 30+ UPF protection factor which is ideal for playing the outdoor sport of golf.